Apparently this is from "Alfie"
No idea what the connection would be. The Moke in the picture of Sir Michael and Benny Hill, is still on the road. Yup, and I think it was at last year's London to Brighton!! How does the registration number look to you? UPD420F or is it Macky999's UPD 428F from the previous page in this thread? I'm not sure what the connection is with Benny HIll in that picture. His character doesn't appear in the scene with the milk float (where Charlie is getting a lift while trying to see what is on the film reel he's been given). 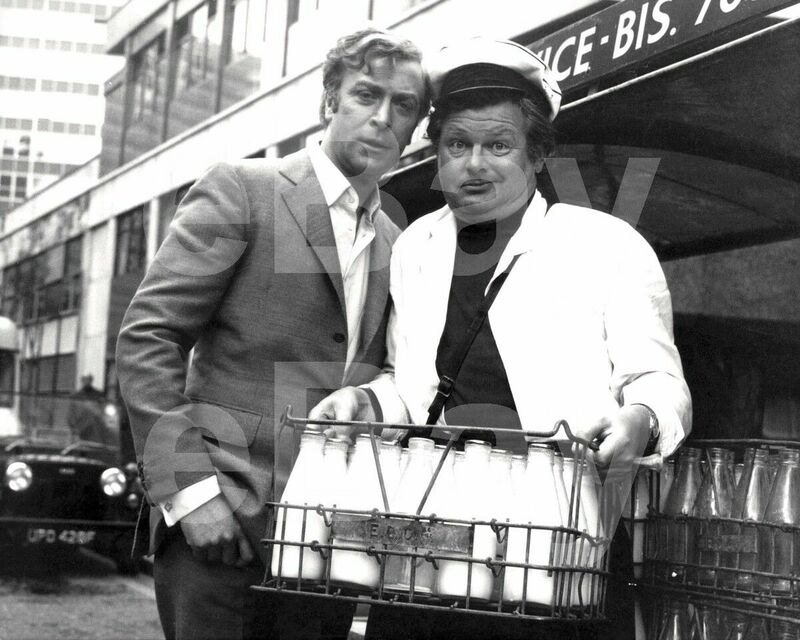 Benny Hill didn't become famous for Ernie the fastest milkman in the west until a couple of years later. Maybe its just that as an ex-milkman he couldn't stay away - or maybe he was the only one on the crew who cloud drive a milk float.